News about the Hero’s Guide series. Hero’s Guide 2 is Coming in April! Posted on December 8, 2012 by Mr. H Posted in Hero's Guide	. 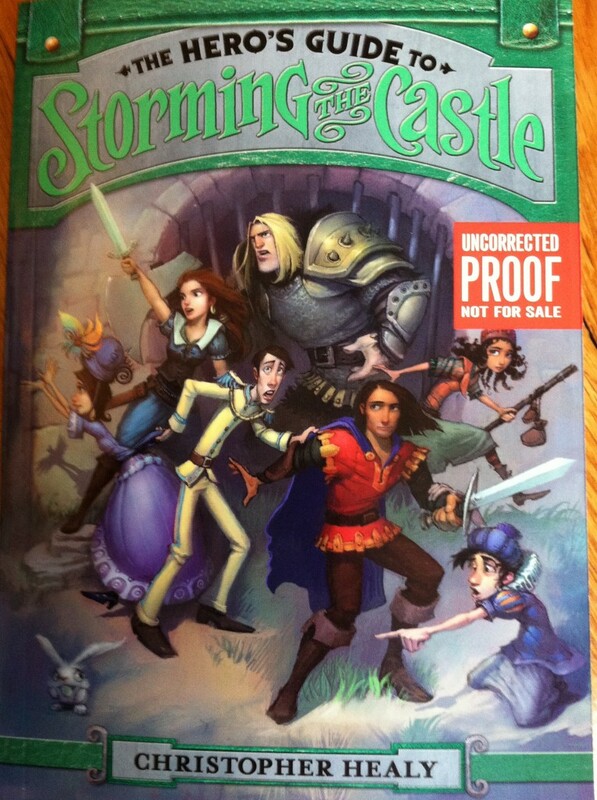 Here’s a sneak peek at the cover of the sequel, The Hero’s Guide to Storming the Castle, out 4/30/13! The Official Hero’s Guide Website is Here! Posted on September 17, 2012 by Mr. H Posted in Hero's Guide	. The website is here! I am proud to finally announce the launch of OfficialHerosGuide.com, the online home for all things Hero’s Guide! A Who’s-Who character carousel, interactive map, favorite prince poll, “Which Prince are You?” and “Which Princess are You?” quizzes, and more! See the trailer, get news, discover tidbits that aren’t in the book. There are even some Easter-egg hints about Book 2! Offical Hero’s Guide Website Coming Soon! Posted on September 14, 2012 by Mr. H Posted in Hero's Guide	. Stay tuned for news about the upcoming launch of the Official Hero’s Guide website, featuring character who’s-who info cards, an interactive map of the kingdoms, quizzes, polls, and more! 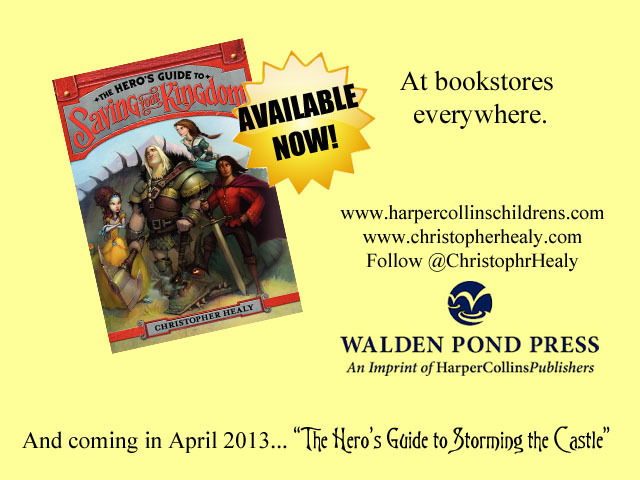 See the Hero’s Guide Book Trailer! Posted on August 7, 2012 by Mr. H Posted in Hero's Guide	. The brand new semi-animated book trailer for The Hero’s Guide to Saving Your Kingdom is up on YouTube! Click below to watch! Posted on June 11, 2012 by Mr. H Posted in Hero's Guide, Reviews	. 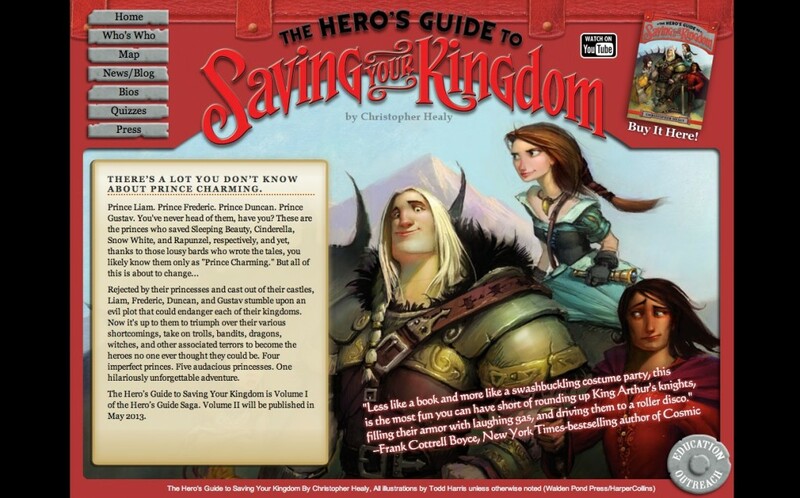 Publisher’s Weekly has named The Hero’s Guide to Saving Your Kingdom one of the Best Books of Summer 2012! I am honored to be listed along with the five other great titles they’ve selected. Get a Glimpse at the Princes’ Bookshelves! Posted on June 11, 2012 by Mr. H Posted in Hero's Guide	. Canadian bookseller Indigo asked me to send the Princes Charming on a shopping spree through their vast catalog of books. Here, in my guest post for Indigo’s blog, are the titles Princes Duncan, Liam, Gustav, and Frederic chose to add to their collections (complete with princely commentary). The League of Princes Has Their First Interview! Posted on June 11, 2012 by Mr. H Posted in Blog Tour, Hero's Guide	. Hear from the Princes Charming themselves in this “character interview” on the Small Review blog.